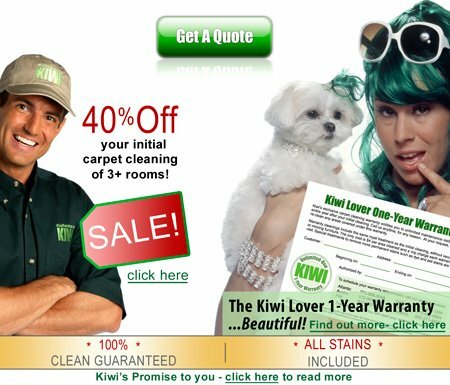 KIWI carpet cleaning services come with a year of unlimited return visits with the famous KIWI Lover One-Year Carpet Cleaning Service! Other cleaning companies that you may be considering just cannot match our warranty or our highly competitive prices. Our Dallas customers have been taking advantage of this offer for 30 years, and now we are offering this same unparalleled service to Houston, Atlanta, Phoenix, Austin and Denver. 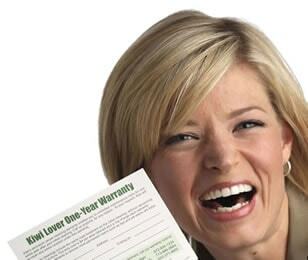 Our warranty is yours when you become a KIWI customer! 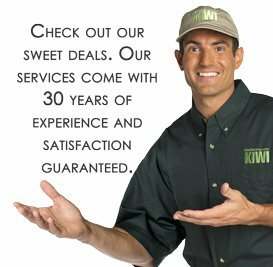 Just call KIWI Services in your city to get today’s special, and don’t forget to inquire about air duct cleaning, rug cleaning or any of our other services. 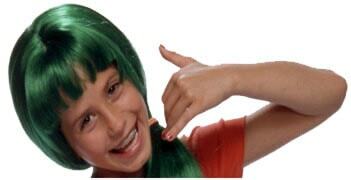 KIWI also offers restoration services. If you ever have water damage or a flood emergency, we’re always available 24/7 for immediate dispatch. All of our initial carpet cleanings have six steps, which include: vacuuming, moving furniture, a cleaning with our all-natural carpet cleaner, grooming, our KIWI Lover One-Year Warranty and stain pre-treatments. Unlike steam cleaning, our cleanings dry in as little as 15 minutes! Before choosing a company to clean your rugs or carpets, compare KIWI’s services with those of our competitors. We give your carpets a far more thorough cleaning for the money, because we want you to become a happy KIWI customer! Water damage restoration services have been available through KIWI since 1987. In 2008, we assisted Houston and Galveston with water damage repair in the wake of Hurricane Ike. Families had been hit hard and were in need of serious professional flood damage repair, making Houston customers our top priority. We take water damage restoration seriously and are licensed to provide mold removal. Our all-natural “green” carpet cleaner provides our customers with the best cleaning results without the toxins often found in steam cleaning products. Composed entirely of natural materials, this eco-friendly solution is biodegradable and can be rinsed simply with water. Our cleaner is free of any nonylphenol surfactants, ozone-depleting chemicals and hazardous air pollutants, as well as any carcinogens and reproductive toxins. Our green carpet cleaning solution follows the guidelines set by the California Safe Drinking Water and Toxic Enforcement Act of 1986, specifically following proposition 65, which addresses ingredients and materials that could be toxic to humans. Our cleaning solution is free of any carcinogens that are recognized by the Occupational Safety and Health Administration of the United States, the National Toxicology Program and the International Agency for Research on Cancer. With a GRAS (Generally Recognized as Safe) rating by the American Food & Drug Administration, our cleaner is safe for use near food items. KIWI Services takes the time to ensure the safety and quality of our products and services. We’re leading the way for a healthier, greener and cleaner home. KIWI Services uses the dry cleaning method to give your home a fresh, clean and gorgeous glow. Our KIWI technicians are highly skilled and trained to clean your carpets in this method using these specific steps. First, we apply a light mist of general carpet cleaner onto a soiled area. Adding a small amount of our custom liquid solution helps to break up embedded particulates. Next, our micro-absorbent bonnets spin over the area in a process called emulsification, which is the suspension of foreign particulates in a liquid. After we have emulsified the fibers with an application of our general carpet cleaner, we then use a circular motion to “wick-up” any dirt in the carpet with a clean bonnet. This agitates the thousands of individual carpet fibers, which in turn removes dirt and foreign particulates that are embedded in the carpet. As the bonnet is spinning, there are two key events taking place: agitation and extraction. Emulsified soils and particulates are then absorbed by a clean bonnet traveling at almost five feet per second! Unlike steam cleaning, carpets dry in less than 15 minutes using this dry carpet cleaning method. 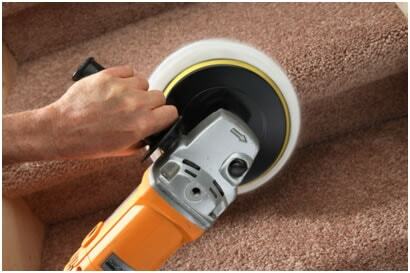 For perfectly cleaned carpets and greatly reduced drying time, trust the professionals at KIWI. Maintaining clean carpets is essential for a healthy and beautiful home. 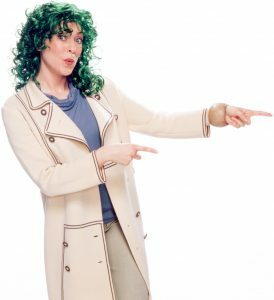 Having your carpets cleaned professionally can be expensive, but not with KIWI, thanks to the KIWI Lover One-Year Carpet Cleaning Warranty. 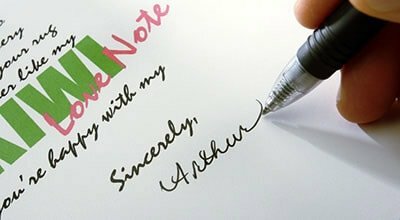 After your initial cleaning of $120 or more, you will receive a warranty certificate. With the warranty, you can get your carpets re-cleaned as many times as you like for just $4 per room (plus a small trip charge). If you are having a party and you want your carpets cleaned for your home to look its best, just call! Or use the warranty when you spill a bowl of spaghetti, a glass of red wine or when the dogs track in mud. You have a professional carpet cleaner at your fingertips whenever you desire. Just call or chat with us online to schedule service. With our warranty you don’t ever need to worry about how your carpet looks, because the carpet cleaning professionals at KIWI will keep them looking their best! KIWI Services gives you 12 months of unlimited cleaning visits because we want to be your carpet cleaner of choice! Choosing the best carpet cleaning service for your personal needs is never easy. Did you know in each major city there are literally hundreds of carpet cleaners? It’s hard to know who to trust with your carpet when you have so many choices. At KIWI, every technician is part of the KIWI Family, undergoing a thorough background check, full training, certification and in-home apprenticeship. We work hard to be the very best cleaning services for you and your home.